Christian Gueckel is the Chief Risk Officer at SEDCO Capital and responsible for risk management and responsible investments. He joined SEDCO Capital in 2014 as Head of Research. Christian is a member of SEDCO Capital’s Investment Committee, Management Committee, Risk and Compliance Committee and Cyclical Asset Allocation Committee. 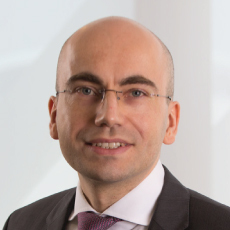 Christian has over 18 years of professional experience in portfolio management, risk and other roles (Swiss family office, Man Group, HSBC Trinkaus & Burkhardt, Dresdner Kleinwort Wasserstein (now Commerzbank), Sparkasse). Christian holds a master-equivalent degree in finance and an MBA. He is a CFA charter holder and holds the FRM, CAIA and ERP degrees.